Marty’s primary objective is to help individuals, business owners, professionals and executives feel confident about their financial future. He provides investment, retirement and insurance strategies to help them implement and maintain their long-term financial goals. planning needs, including insurance expertise, for his individual and business owner clients. He has earned Series 7, 63 and 65 registrations* and holds life and health insurance licenses. 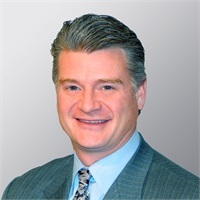 Marty received a degree in Industrial and Management Systems Engineering from Pennsylvania State University and is a member of the Penn State Alumni Association. He worked as an engineer for six years before transitioning to financial planning in 1999. He has since been applying his analytical training and experience to his clients’ financial needs. In his free time, Marty enjoys golf, football, and spending time with his wife, Lora, twins, Cole and Raelyn, and the family dog Maggie. * Series 7 & 63 held with LPL Financial and Series 65 held with Wealthcare Advisory Partners, LLC.